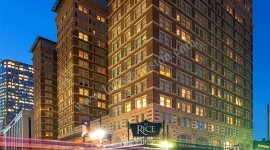 We serve the high rise, loft and luxury living housing market in Houston, TX. Lofts for Sale in Houston – Houston’s loft market has reached a new level of luxury and demand. With the surge in population in Houston lofts for sale market is setting the trend for new home purchases. Loft condominiums are offering an alternative to renting with the ease of maintenance free living all in a popular urban setting. Why rent when you can BUY? Sure this is a cliché, but now it really is the best of both worlds, home ownership that is more accessible and immersed in urban culture and the energy of city living. That is living at its best! Loft Condominium financing is available but does not follow the same standard as a single family home mortgage. Call to speak with us today to learn about available condos and lofts in Houston for sale and how to obtain a loft condo mortgage. 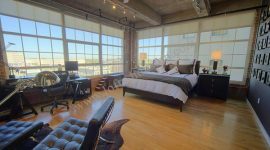 Loft & Condominium | SALES – Houston has a plethora of loft and condominiums for sale, from Luxury penthouse lofts, downtown warehouse lofts and garden style apartment condominiums. We know where to find the best in luxury loft living, historic Houston warehouse lofts and any style condominium to fit your lifestyle. As a buyer your real estate services are complimentary. Call today and allow one of our experienced luxury condo Realtors provide a you with a guide to condo finance and help you find your next home. Houston lofts for lease – Who wants a regular apartment lease when you can have a loft lease? Well, that’s what most renters ask and developers have answered the call! There are many lofts for rent in Houston to choose from in clutch city which is why you need an experienced loft Realtor to guide you through all of the options. Lofts in Houston for rent can be found in Downtown, Midtown, Medical Center, Montrose, River Oaks, Galleria and Briar Hollow to mention a few. As a renter our Houston loft apartments service is free, and we do all the work for you. Call today to speak with a loft leasing concierge Realtor. 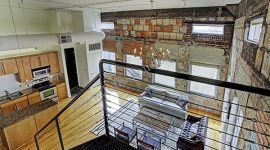 Loft | LEASING – Looking to lease a historic warehouse loft for rent in Houston’s thriving Downtown District? We would love to help! Did you know there are more than 20 loft and high rise style residential buildings in Downtown Houston alone? Sound like an impossible task? Not to worry! We are well acquainted with every loft apartments in Houston as well as every Houston lofts for sale / lease and would be happy to help you find the right fit for your next rental. As a renter your real estate services are complimentary, so call today and allow one of our experienced Realtors lead the way. Residential HOME SALES – Living outside the Loop? We service all areas of Houston; Memorial, Oak Forest, Garden Oaks, Sugarland, Pearland, NW Houston, Katy, Cypress, The Woodlands, Conroe, Champions the list goes on. As native Houstonians we are passionate about all areas of Houston and will be delighted to assist you with your housing needs. Call today to speak with a Realtor in your neighborhood. Home STAGING – Studies show that staged homes sell faster and for a higher price. Therefore every home we sell is staged before it is listed on the active market to be sold. We hire professional staging consultants to assess each home and provide recommendations for improvements to occupied homes and we bring in home décor and furnishings for vacant homes. No home goes un-staged. What is the cost of home staging for our clients? Zero, that’s right, it’s free! We believe in the power of a staged home so completely that we will stage your home for free! 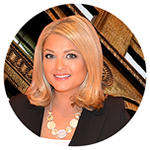 Call to speak with a listing agent for more on about our home sales listing services.